Long time has passed since I shared with you a wish list but with a new season ahead and changes of weather it is inevitable not to want some new shoes in your closet. 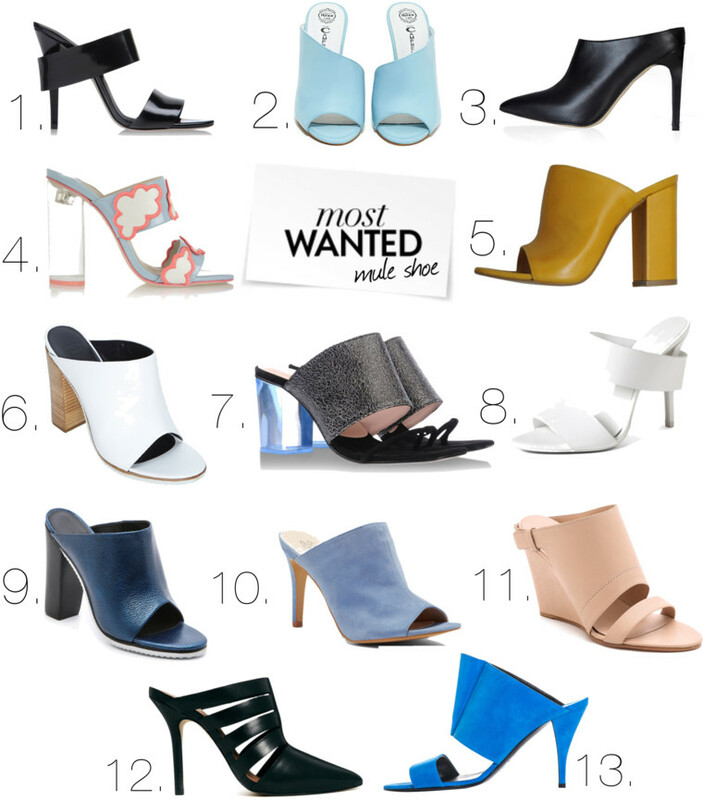 Some of my desirable shoe pairs right now( mule) are presented here and I have a particular favorite pair (excepting the mustard one that I already bought it and wore it Here) . Can you guess which one? What does your wish Spring list include? Still don’t know how I feel about “mule shoe”, but it’s with no doubt a huge trend this Spring! Great post, so many lovely shoes! I love mules! I think that they’re a great look for the warm weather!